key enabling technology for space exploration, and sustainable transportation. Infinite Composites Technologies (ICT), develops and manufactures advanced composite pressure vessels and structures. ICT was founded in 2010 to revolutionize composite pressure vessel technology, with the ultimate goal of enabling widespread adoption of composite pressure vessels. 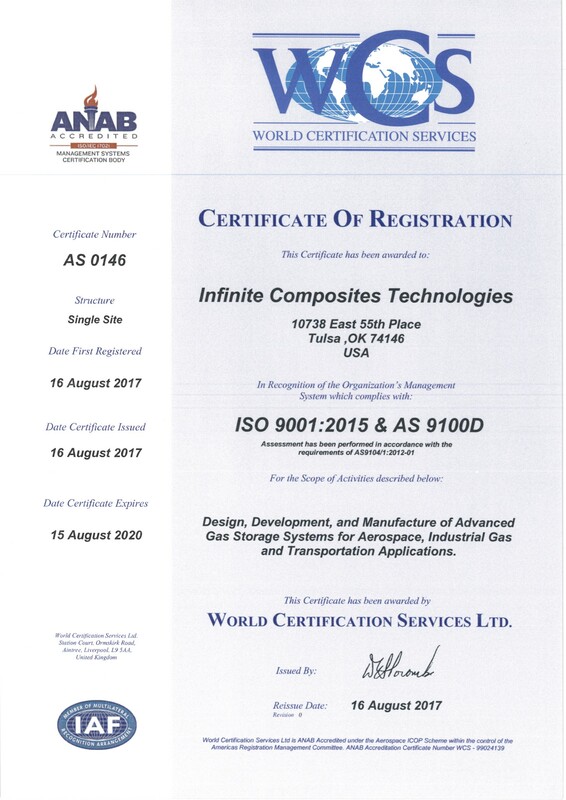 Infinite Composites Technologies aims to practice continuous improvement to ensure we deliver products that exceed customer and industry quality standards and deliver products free of fault or defect. Want to learn more about our quality management system or learn more about the iCPV technology?